Here we are to tell you about the birthday party of Arianna, celebrating her fifth birthday. 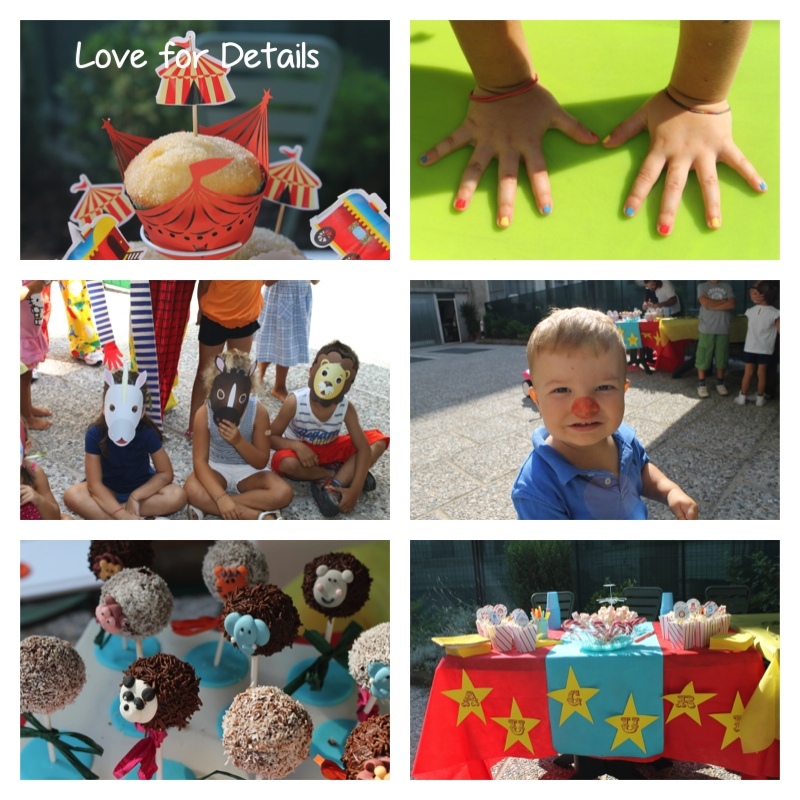 She made a wish: a circus theme party, and we let it happen! 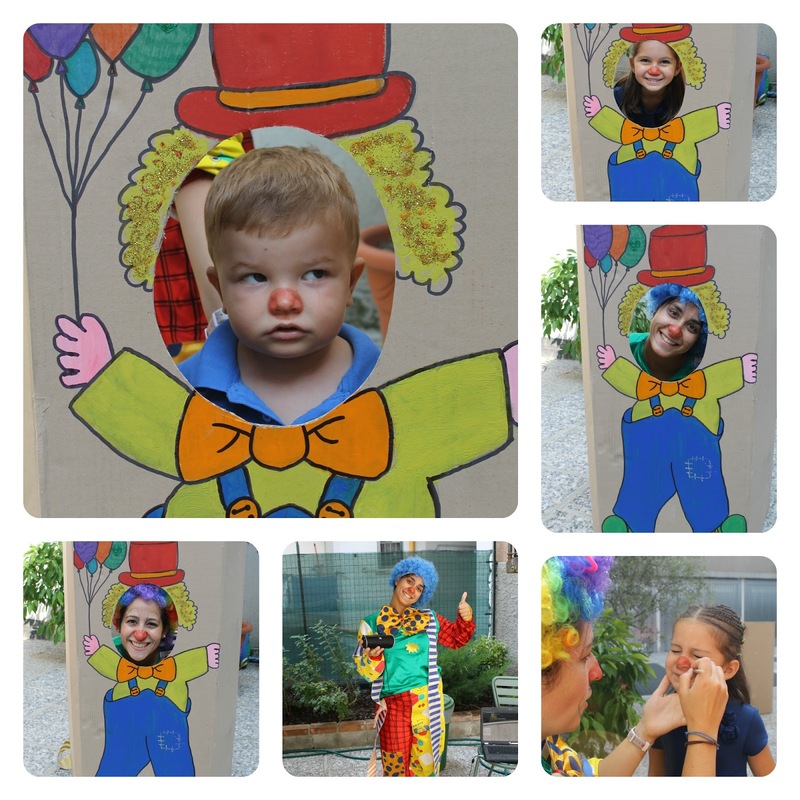 The party was soooo funny, thanks to our entertainers LACCIO & STRINGA, who were able to lead the children into the fascinating world of the circus. The party began at 11:00 when the guests arrived and we kindly invited parents to let them (the party was absolutely forbidden for adults, of course!). 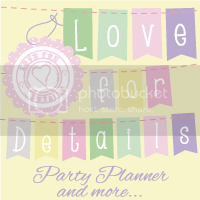 First we show you all the theme decorations, we told you how to make them in our previous post. 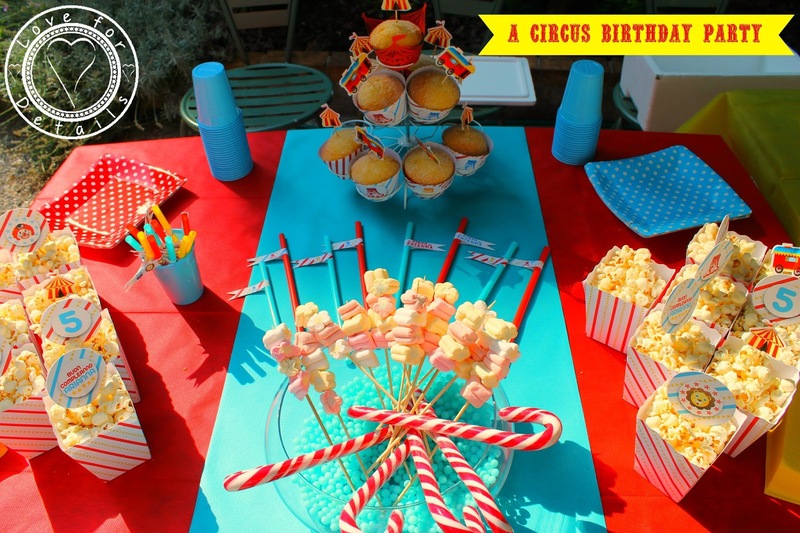 In a circus party could not miss the popocorn, the candy, hot dogs and as wished the donuts muffins and the cake pops. The animators LACCIO & STRINGA entertained children with many games. First they have them rigged with red noses and stars on upper arms, cheeks or eyes, and then one by one the children passed through to get a souvenir photo .... look here that pretty faces! 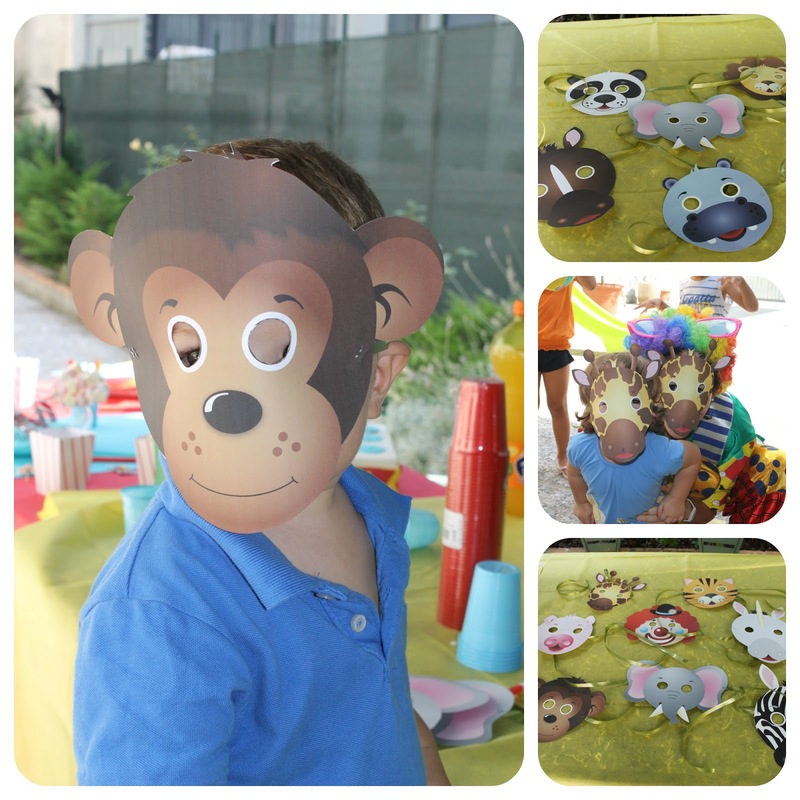 In the circus could not miss the animals, so all the children wore the animal masks created by Love for Details, have a look... which funny animals we saw in ARIANNA'S CIRCUS! At 12:30 everyone around the table for eating pizza and hot dogs, and finally here comes the long-awaited moment... the cake! At 15:00 the party is now coming to an end.... but there is time for a really funny game.. throwing whipped cream on faces was the best game of the day!! The party is just come to an end and the children are going back home with a beautiful clown graduation certificate containing the souvenir photo of the day. Wow! Allegrissimo e molto divertente! 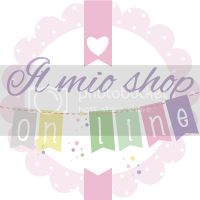 Grazie mille per aver segnalato i tuoi lavori molto curati! Li inserisco subito nella lista e, appena mi porto un po' avanti, ti condivido da altre parti! Bravissima e complimenti! Grazie Clara, la tua iniziativa è veramente bella e fonte di tante ispirazioni.. a presto. Ma che bella e allegra festa! Bellissimo tutto!!! !